Looking for a new way to pick a bucket-list destination? Why not sort by step count, or how many calories you’ll burn! Here are 12 “Bucket List Burners” to add to your itinerary. 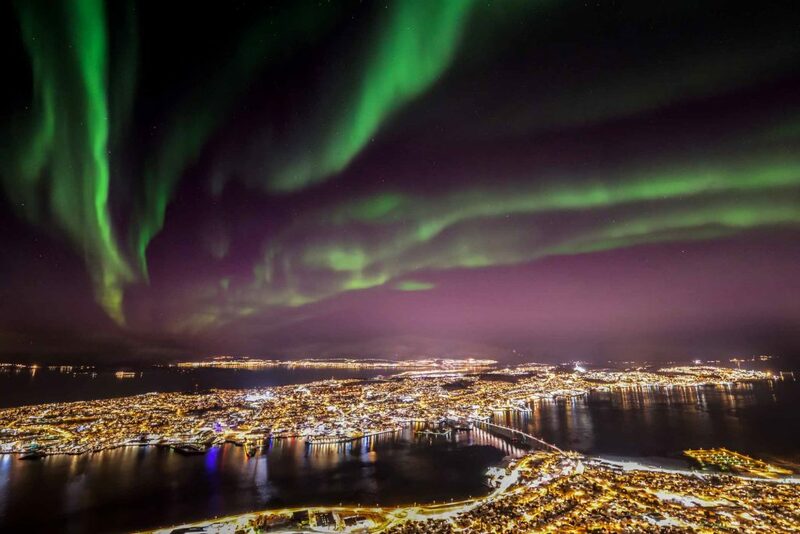 The sun won’t rise until the end of the month, so when you set off for this run at midday it’ll be under a night sky, and maybe the northern lights. It takes about 5 hours to ski from the top of the Aiguille du Midi peak down into Chamonix, where you’ll fully deserve that 1,000 calorie cup of Raclette! 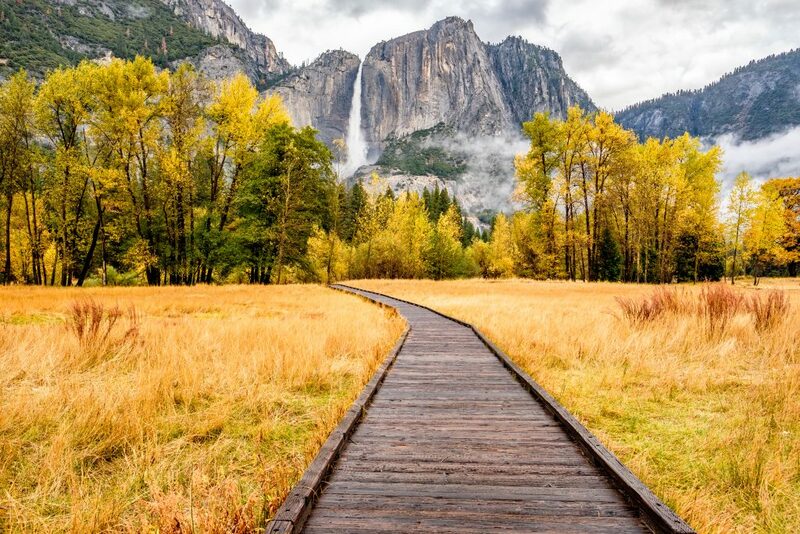 If you walk 20 miles a day, you should complete this epic trail in about a month. The 420 mile walk is well worth it if you like an experience with ever-changing vistas. Follow trail numbers 587, 598, then 507 for a hike that’s relatively easy on the legs, and totally pleasing on the eye with uninterrupted coastal views. The 6.5 mile perimeter walk should not be seen as an opportunity to scale the rock. Attempts will be met with hostility, and will be illegal from October this year. It’ll take roughly 8 hours to cover the 7 mile trail mostly due to the fact that the path takes you 2,700 feet up to the top of the tallest waterfall outside Hawaii. This 7-day adventure will take you to the heady height of 20,000 feet, that’s just 15,000 feet below the space that aeroplanes fly! 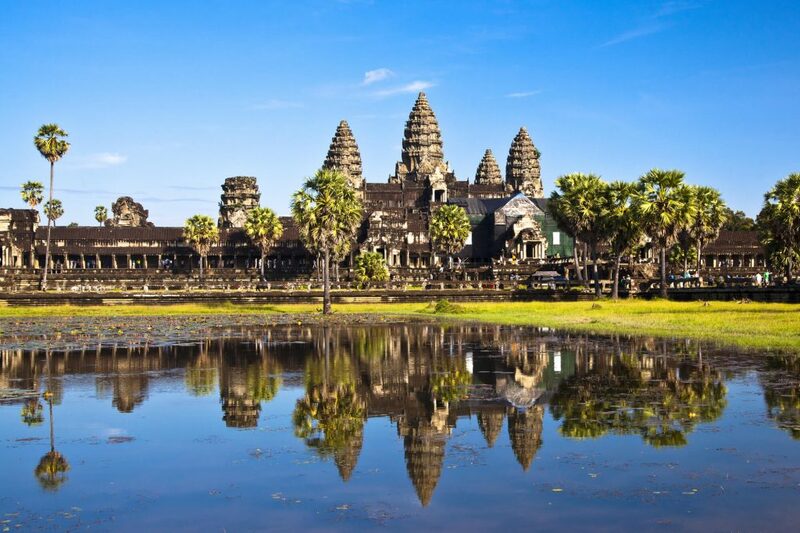 By running a marathon you can see everything this place has to offer (40 ancient temples, forests and rice fields) in just 5 hours as opposed to a full day. 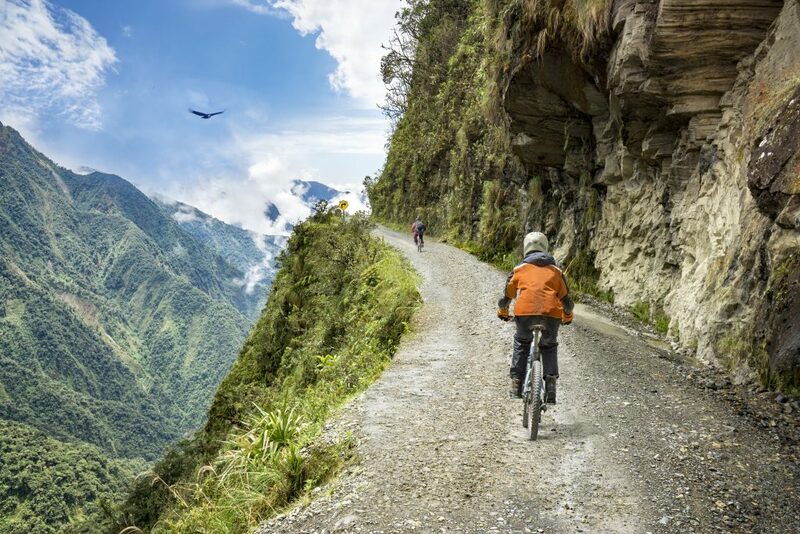 The 5 hour cycle ride on Yungas Road is safer than ever! The narrow road flanked by sheer drop one side, and sheer cliff the other is largely free of the trucks that once took the same route. 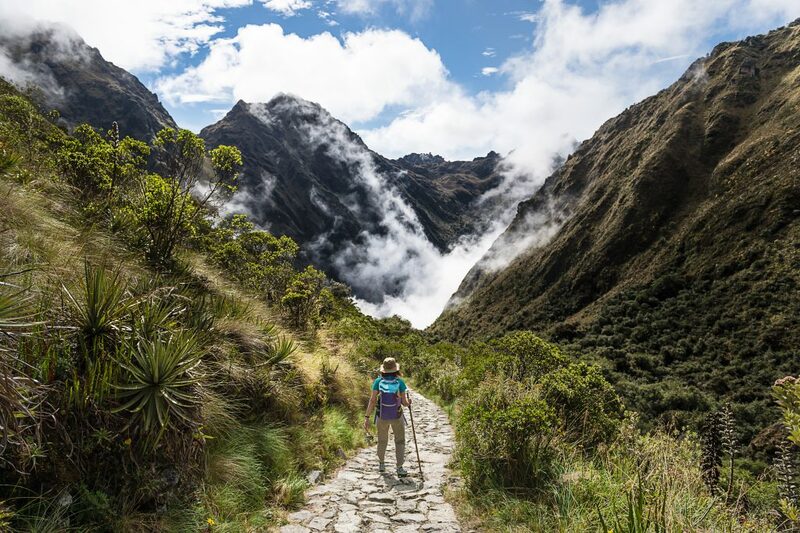 It will take 4 days to complete this 26 mile trek through the Andes to Machu Picchu passing historic ruins and the iconic Amazonian cloud forest. 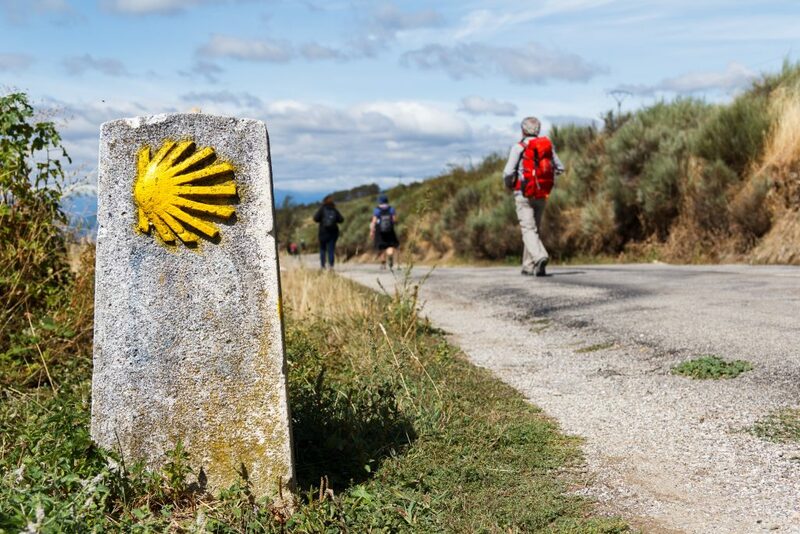 It would take 10 months to walk the entire thing, but if you take the most popular stretch from Hexi Village to Gubeikou and Panlong you’ll be done in just two days. 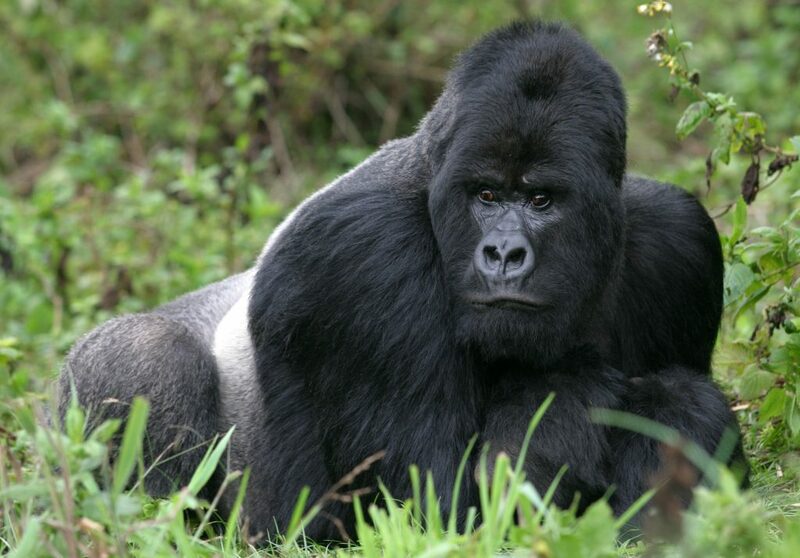 Volcanoes National Park is big on adventure even if it isn’t on steps, within 5 miles you can expect to see endangered mountain gorillas in their natural habitat. Don’t forget your travel insurance! Worldwideinsure.com cover a wide range of activities as standard, with plenty of options to add-on something more challenging should adventure call! 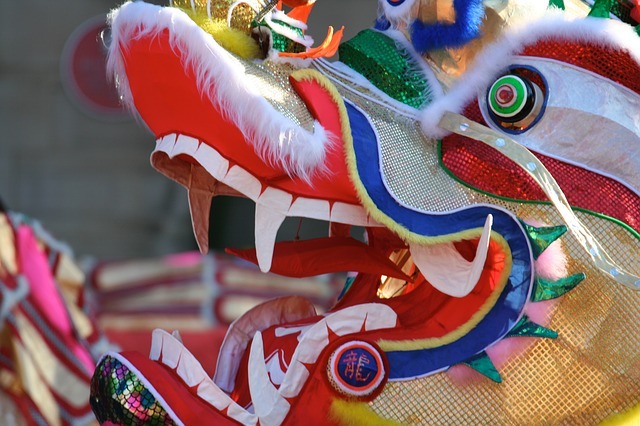 This entry was posted in Destination Guide, Fun, Travel Advice on April 19, 2019 by worldwideinsure. What makes a great party destination? It’s a tricky question to answer, since a night of fun is often down to the company you keep. However, there are some destinations where the party clientele is more open – where meeting people is easier. And when you balance party people (24 hour or otherwise) with great bars, clubs and festivals – not to mention idyllic beaches or eye-popping cityscapes – you may well have a shindig worthy of your memoirs. While you may think Greek parties are typified by the sambuca-drenched beaches of Mykonos, the capital Athens is actually the true party heart of Greece. That said, it’s not easy to pinpoint exactly where you can expect the party to happen. Great parties seem to flare up suddenly – so you’ll need to root out where the action is. Bear in mind that things don’t even get going until 1am. It’s worth pencilling in a few Athenian nights to seek out some memorable evenings, and in the unlikely event you don’t find any, you can console yourself – and your throbbing head – with a delicious Athenian gyro (a kind of Greek taco). Morocco in general is a conservative country, but that doesn’t mean you can’t track down a superb party. 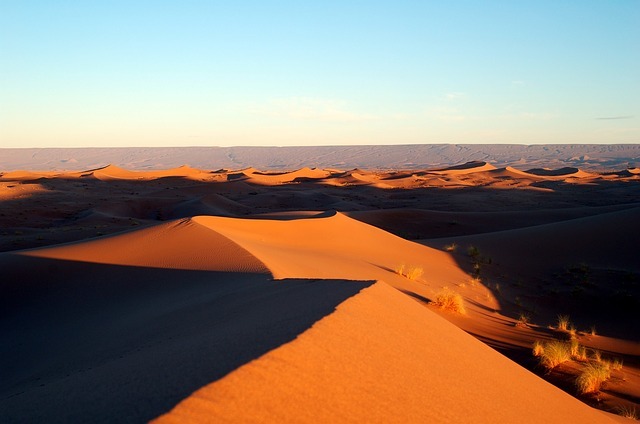 Take the Oasis Festival, for instance, a boutique music event on the outskirts of Marrakech that runs from mid-September 2019. In the unlikely event you don’t like the tunes, you can stare in wonder at the mighty Atlas Mountains in the distance. If you just fancy a music-centric bar or club, Marrakech has a good deal, such as L’envers which specialises in underground sounds. There are also numerous pool parties organised at hotels around the city (where the general public can’t see or hear what’s going on) by the likes of Moroko Loko. Thailand’s monthly Full Moon Party has attained legendary status, thanks to the host town’s ravishing beaches (Haad Rin on Koh Pha Ngan), together with the sheer scale of the party and hedonism on display. Many Full Moon veterans say it was one of the best parties they’ve ever had – yet often it’s a once-is-enough kind of vibe due to the costly and hard-to-get accommodation, and the general lunacy of it all. But for those who desire large-scale beach-side mayhem, the Full Moon Party is a must-do. Afterwards, you can recuperate elsewhere, perhaps in one of Thailand’s numerous national parks, or a quieter corner of Koh Pha Ngan itself. For a real taste of the Mexican party scene, we don’t recommend Cabo or Cancun (although they are fun in their own right). We say explore the nation’s capital city which, when the sun goes down, plays host to a myriad of EDM clubs, as well as cosy little bars where ice-cold beers combat the balmy temperatures. Best of all, Mexico City is considerably cheaper than the beach resorts, where the Mexicans you meet aren’t just serving drinks at the party – they are the party. The Gallic grandeur of Shanghai’s French Concession is a treat in itself, but behind the elegant façades are a plethora of super-cool clubs and laid-back beer-holes. Consider Tattoo Family, which combines cocktails and tattoos, for sure a risky business model – especially for the clientele. For more social beer-tasting head to the dive-esque Dada, or the retro-video-game-themed Arcade, offering low-cost cocktails which are ideal before you head to a club. Speaking of which, mid-size Arkham is one of the best-loved, attracting big-name DJs and cool bands. The French Concession is staying true to the uniqueness of its colonial-quarter past, with an ever-growing number of bohemian bars and European-style clubs that are a rarity elsewhere in the city. Visit it in 2019 – it could be quite a year! 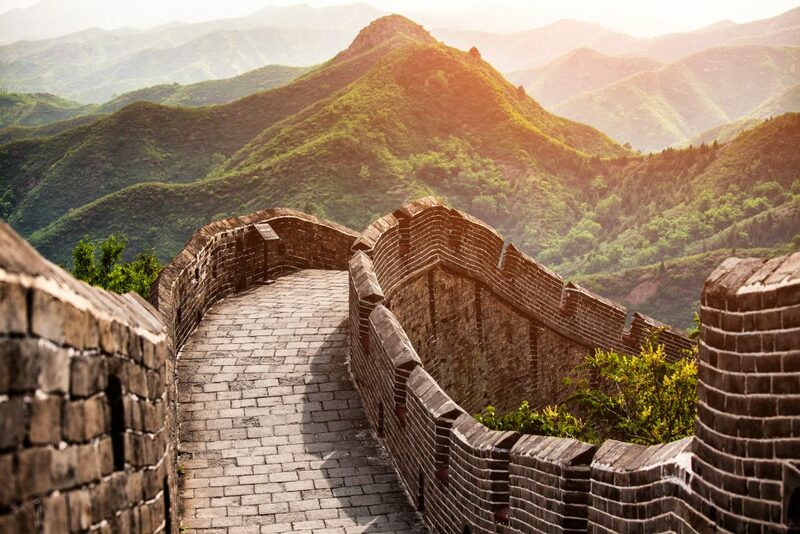 This entry was posted in Destination Guide on April 5, 2019 by worldwideinsure. Canary Islands Guide: Which Is Best For Kids? Each of the three main Canary islands – Tenerife, Fuerteventura and Lanzarote – offer a thrilling selection of activities for children. The only tricky part is choosing which island – and which activities. Most Canary-bound flights arrive at Tenerife, the archipelago’s biggest and most developed island. But while the south is indeed a resort-land of hotels, restaurants and theme parks, there are still large protected swathes, covering no less than six vegetation zones including UNESCO-listed Teide National Park, where you’ll find Spain’s loftiest mountain. The amazing outdoors, combined with reliable sunshine, means there’s lots to do. Aside from trekking Teide National Park, you can go whale and dolphin watching, try caving in Cueva del Viento, and visit the strange stone pyramids at Pirámides de Güímar Ethnographic Park. There are also some top-notch theme parks, such as Park Siam, a Thai-themed water park, and Aqualand – you can guess what happens here! Both of which provide hours of amusement to smaller visitors. And of course, if ‘doing’ gets a bit much, you can try ‘being’ for a while – on one of the island’s lovely golden beaches. Top tip: While it’s sunny year-round, the island does have annual rains, which affect parts of the island at different times. 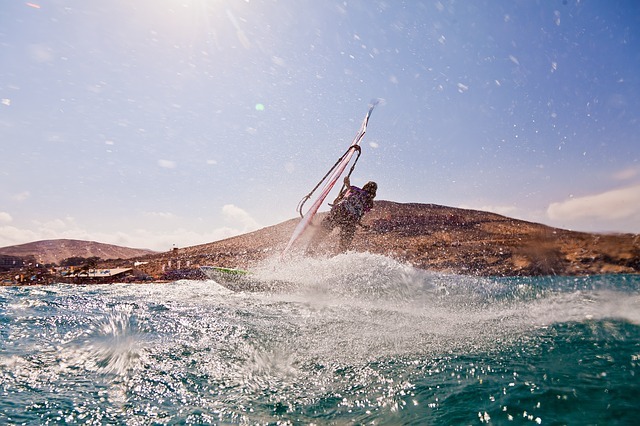 Stunning sandy beaches are the main draw of Fuerteventura, where older kids – and adults, of course – can try their hand at various water sports, including paddle boarding and windsurfing. Hopping in a pedalo is great fun for younger children. Inland, you can go off-road in a 4×4 and explore the rugged hills of the island’s interior, stopping for a dip in one of the beautiful natural lagoons. Back by the sea, consider taking a boat trip to Los Lobos, a lush green island where hundreds of smiling seals have made the pretty beaches their home. Other animal-based draws include horseback riding – and even camel riding. Fuerteventura is also home to Acua Water Park, offering huge water slides along with crazy golf and go-karting. Top Tip: You can rent a car on Fuerteventura, but the island has a good, low-cost public bus system, which reaches most parts of the island. Lanzarote’s largely volcanic landscape stands in contrast to its greener neighbours. The dramatic, rippled-lack lava fields are a sight to behold – but there’s plenty of traditional fun-time draws here too. 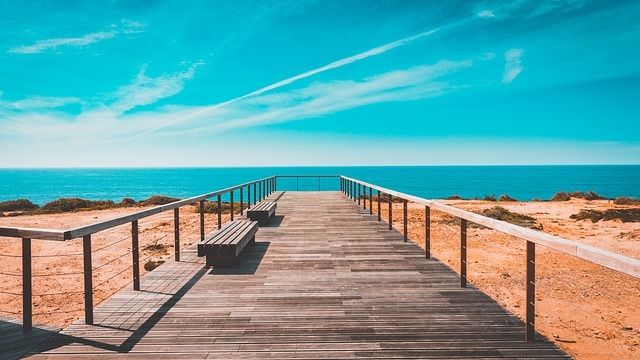 For kids and grown-ups the fantastic beaches are a winner, with windier stretches for water sports, such as Costa Teguise, and calmer spots perfect for younger children, like Puerto del Carmen. For attractions, the Rancho Texas animal park is a fun day out, while the Pirate Museum captures the imagination with its depictions of the Canaries’ pirate-ravaged past. And then there’s the water parks – Aquapark Costa Teguise and Aqualava Waterpark in Playa Blanca, the latter of which is best for smaller children and toddlers. For older kids and teens, there’s paint ball and plenty of teen-focussed parties in the resorts. 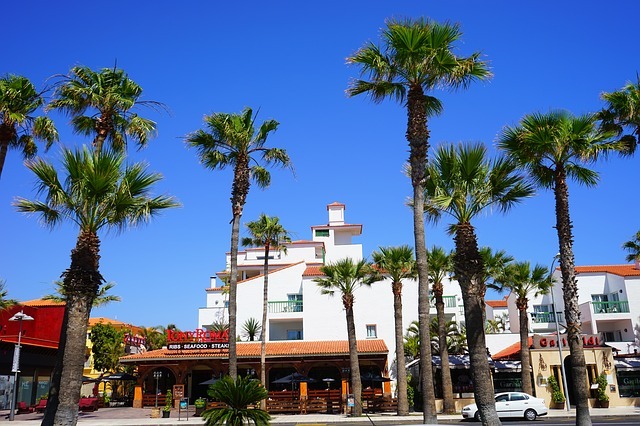 Top tip: It’s easy to spend your entire break in one of the very well developed resort areas – see Puerto del Carmen, Costa Teguise and Playa Blanca, but do explore the island’s many other draws, not least its mesmerising volcanic vistas! Of course, all three islands offer a wealth of activities for smaller travellers. 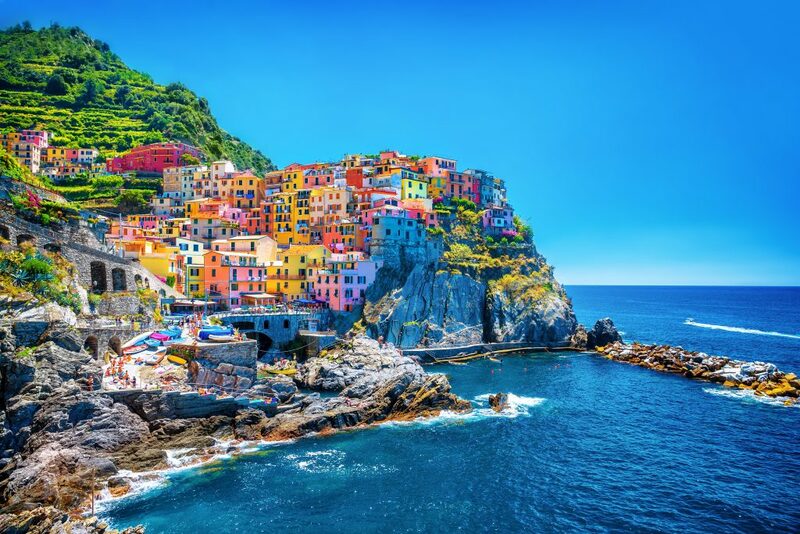 But if you’re planning a longer trip you might consider hopping on a ferry – or even taking a flight – to one of the other islands. But, chances are, one island will be more than enough for a fun-packed family holiday! Kids Go FREE on Family Travel Insurance at worldwideinsure.com! Give us a call 01892 833338 or get a quote online! This entry was posted in Destination Guide, Travel Advice on March 22, 2019 by worldwideinsure. If you don’t like queuing – at airport check-in desks, art galleries or ice cream shops – then booking a holiday before the peak summer season is a wise move. But aside from fewer crowds, travelling before (and after) the summer holiday madness will also bag you cheaper air fares and hotels. 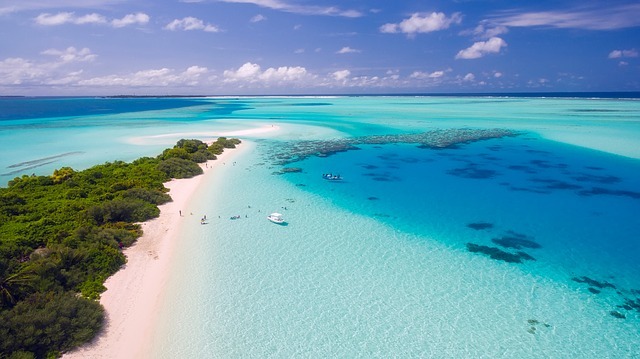 Here are four of our favourite pre-summer sun destinations for 2019, covering some of the top priorities for those looking to escape the UK’s unreliable weather and high prices (not to mention its relentless politics!). For ravishing beaches, it doesn’t get much better than the Algarve, which draws thousands of Britons each year. Even in peak summer season it’s affordable, but there are bargains galore in the shoulder seasons of May and September. The port town of Lagos is a good bet, steeped as it is in the Age of Discovery; many epic nautical adventures began here. The town offers crumbling churches, charming squares and cobbled lanes, all of which are protected by mighty 16th-century walls. Nearby are a host of stunning beaches, where you and yours can enjoy a variety of water sports and boat trips along the rocky coast. Expect superb (low cost) seafood and plentiful nightspots. Visit in April or May and you’re sure to have plenty of idyllic sandy stretches of beach to yourself. Great for folks of all ages, but particularly families and couples. If you’re not careful, the Italian capital can deliver a cultural overload, such is its wealth of historic monuments and art galleries. 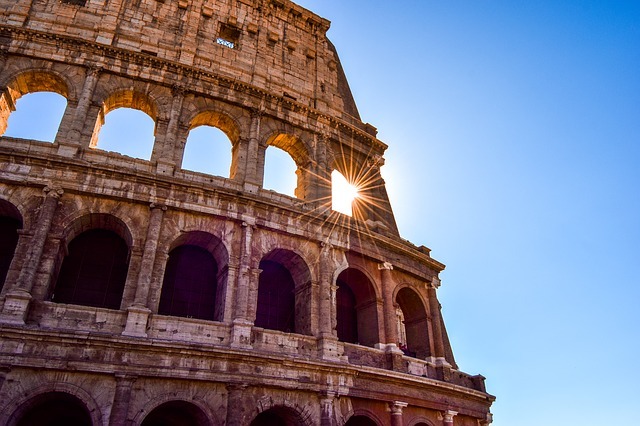 Once known as the caput mundi (capital of the world), after a day exploring Rome you’ll understand why it had such a huge impact on global history. Boasting the Colosseum, Roman Forum, Pantheon and Trevi Fountain – to name but a few attractions – Rome demands a little planning. Give yourself several days to wander its old streets, or, if you’re pushed for time, decide which places you want to see in advance. The beauty of visiting before the summer season is – you guessed it – fewer crowds. Indeed, it’s challenging indeed to relax in peak summer, such is the tourist footfall. Go early and go slow(er) – enjoy the pavement lifestyle with a latte and a gelati. Rome is great for couples and solo adventurers, but could prove too busy for those with younger children. 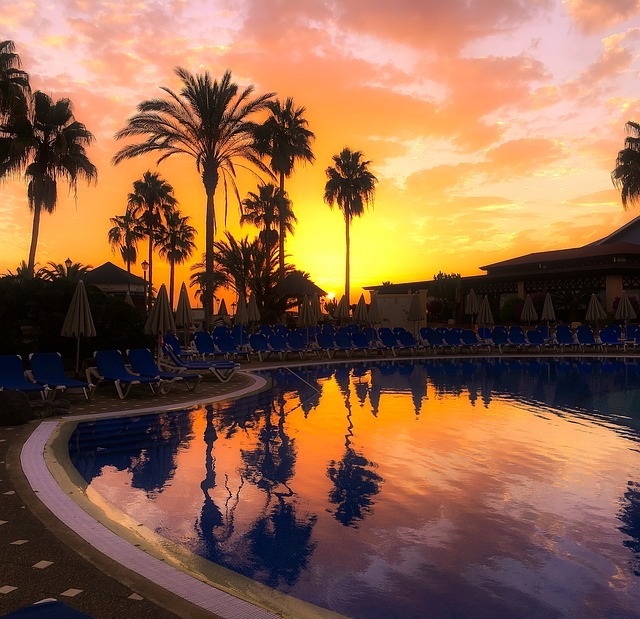 Comprising three main islands – Tenerife, Fuerteventura and Lanzarote – the Canaries deliver a vast array of activities younger family members will love. Most eye catching – to mini travellers at least – are the numerous theme parks and water parks. 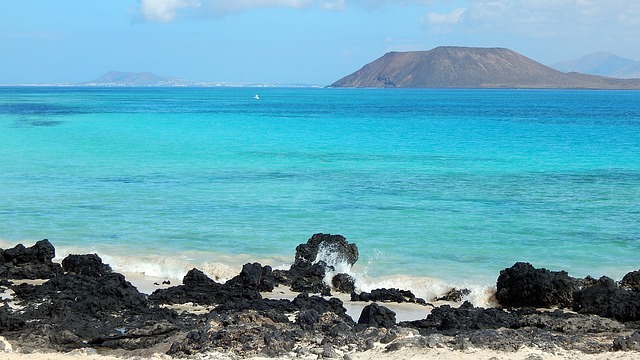 Add to these go-karting, snorkelling, whale watching and boat trips, and you’ll soon understand the Canaries = active. But there are more laid-back pursuits too: chilling out on some of the many fabulous beaches (which are edged, incidentally, but very shallow and calm waters – great for younger kids); and even a museum that brings to life the islands’ pirate-ravaged past. If possible, visit before the peak summer season gets under way, and you’ll dodge some serious crowds (and prices). You don’t have to love techno to party in Berlin, but it helps. Here they take their partying seriously – yet with bucket-loads of imagination. Of course there are world-famous mega-clubs like the Berghain, located in a former power plant – which would be regarded as rather unorthodox in any city, but things get odder still in the German capital, with About Blank, which, along with two vast dance floors, boasts a big garden with a secret party bungalow. Those two, however, are rather costly, so if you’re watching your euro-cents, try Stattbad Wedding, a disused swimming pool that now hosts recurring parties. Salon zur Wilden Renate, meanwhile, is one of the most off-beat of all – a maze of junk-filled rooms where people get together to dance, talk – and whatever else takes their fancy. This labyrinth of former residential homes offers many secret rooms – some of which, say the club’s head honchos, have not even been discovered yet. What’s more, these mysterious rooms are located in the heart of the city. The German capital’s party scene is for techno-heads and party animals of all ages – after all, it’s Berlin, where rules are frowned upon. Visit in April or May and you’ll likely brush shoulders with more Berliners and fewer tourists, making you feel that bit cooler! 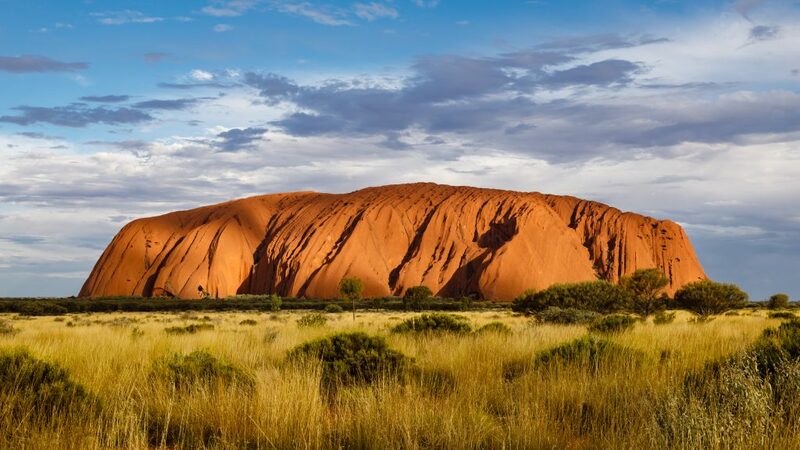 This entry was posted in Destination Guide on March 8, 2019 by worldwideinsure. 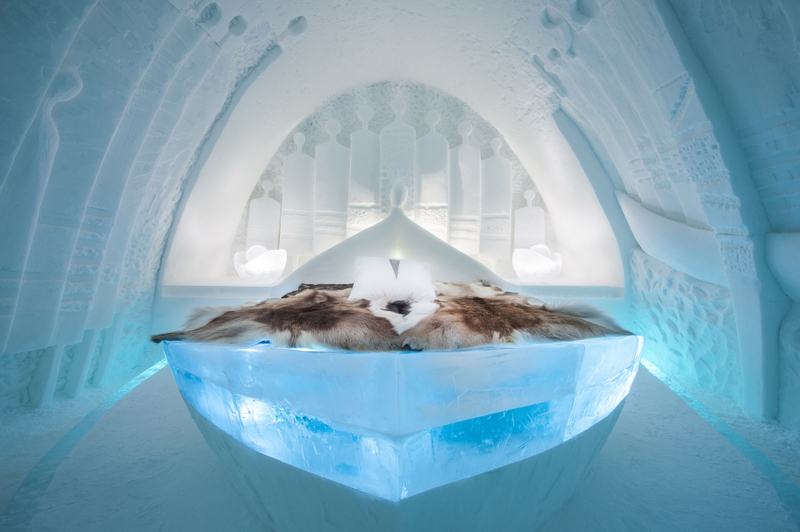 Ice Hotels – The Coolest Place To Ignite The Fires of Passion! ©ICEHOTEL. 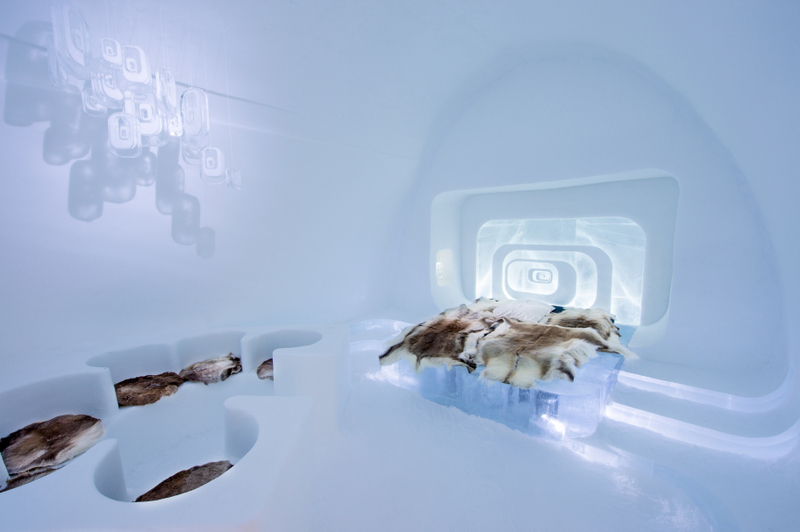 icehotel.com: ICEHOTEL 28, 2017-2018 Art Suite Daily Travellers. Design Alem Teklu & Anne Karin Krogevoll. Photo Asaf Kliger. This hotel has just opened its doors to its 29th incarnation! 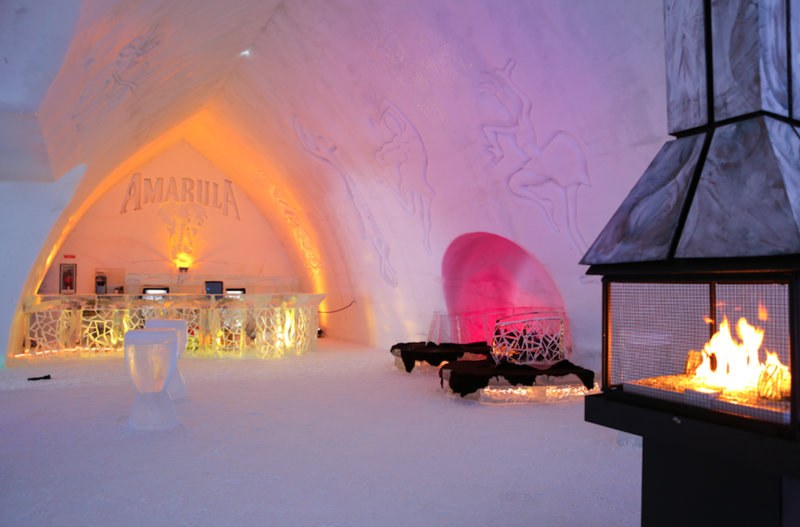 It is a hotel and art exhibition rolled into one, made of ice from the river Torne, created each year based on a new design. It’s billed as a place to discover silence, the northern lights, cloudberries, kettle coffee and we think it’s just the place for romance! 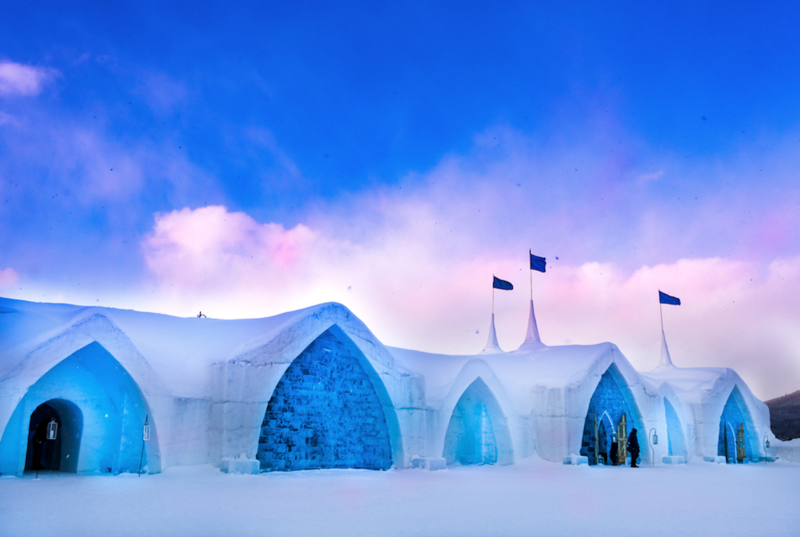 Visit icehotel.com for more info. The Ice Church next to the ICEHOTEL opens every year on 25thDecember. When it is formally handed over to the Swedish Church for weddings, renewal of vows and even baptisms! ©©ICEHOTEL. 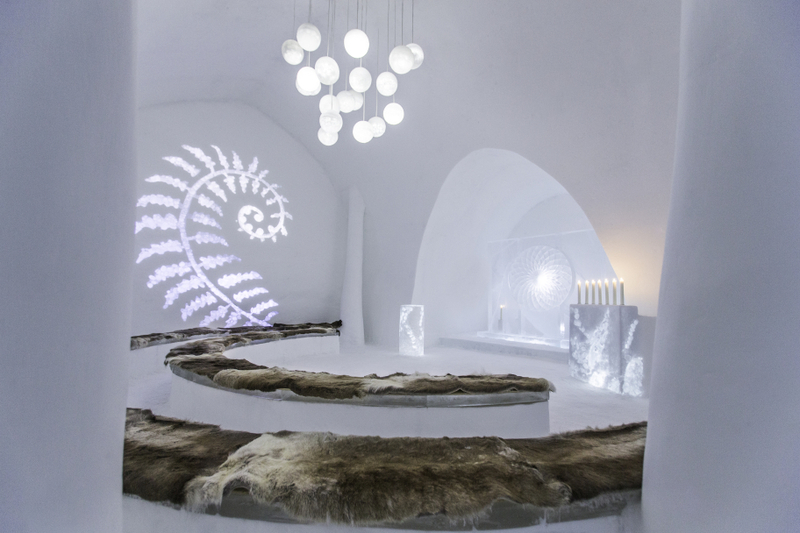 icehotel.com: Ice Church 2015 In the Glade Photo byline Design Tjåsa Lucia Gusfors, David Andrén, Johan Andrén & Erik Törner Photo. Paulina Holmgren. This hotel is just 20 minutes north of Quebec City in Canada. It’s huge snow vaults and breath-taking ice sculptures are unique masterpieces created afresh every year by some of the best ice sculptors in the world. The hotel is open to visitors, guests, and for weddings. Head to Hotel de Glace for more info! 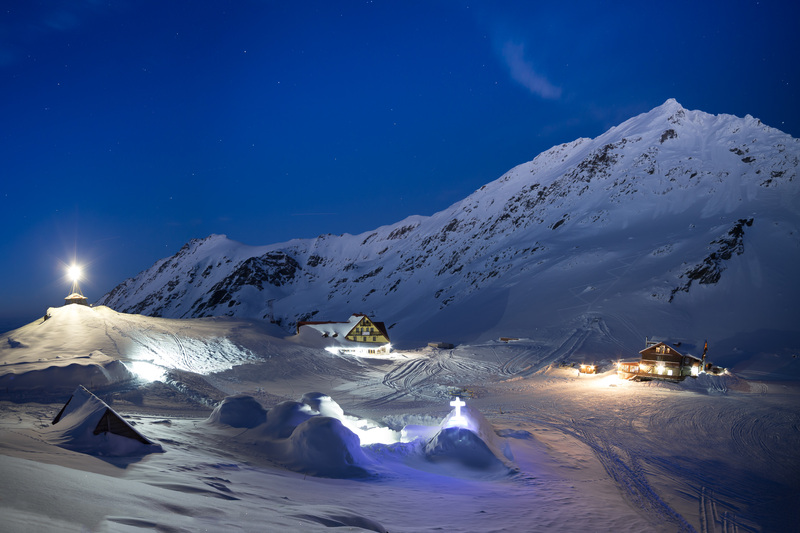 Set in the Fagaras Mountains, Romania, this hotel is built every year in less than a month from snow and ice blocks that are extracted from Balea Lac, the largest glacial lake in the area. The hotel’s vision is to be somewhere couples can escape for a mix of romance and adventure – there is even an ice church for weddings. More over at Hotel of Ice. DON’T FORGET YOUR TRAVEL INSURANCE! 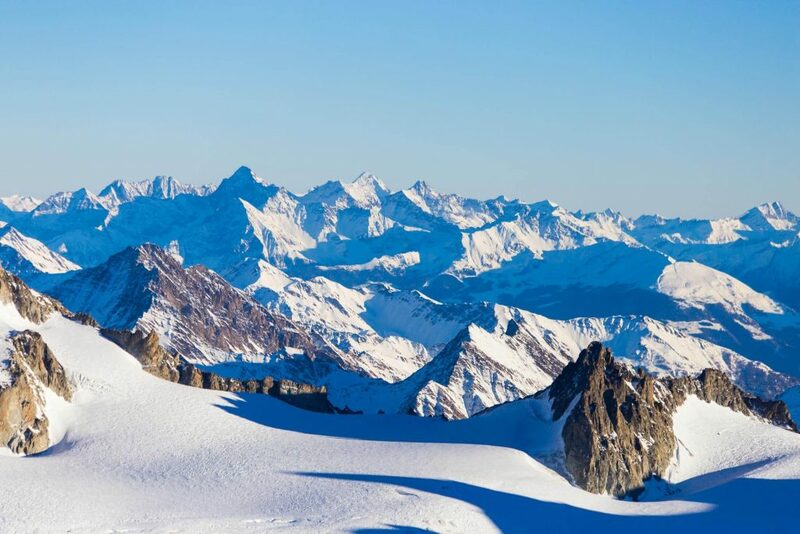 We offer wintersports travel insurance for a huge range of snow-filled activities. Get a quick online quote or speak to one of our advisors. This entry was posted in Destination Guide, Travel Advice on February 8, 2019 by worldwideinsure. Done with the chilly weather already? Can’t wait until the warm winds of summer breeze over your newly tanned skin? How about fast-forwarding to blue skies and high temps by holidaying in the warmest places in Europe this winter! It’s a bit of a cheat this one, as the Canary Islands are just off the coast of Africa, but still classed as Europe. As such, definitely the warmest place to go in Europe in January – 21°C? Yes please! 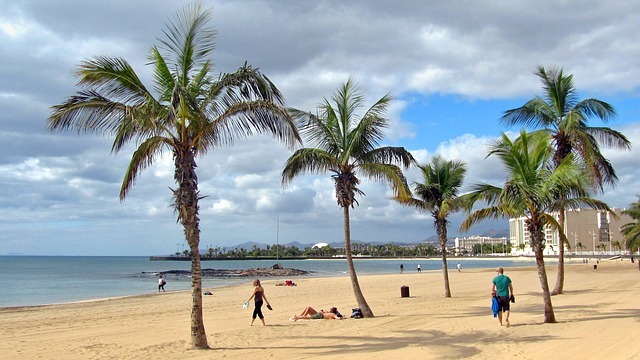 The warmest (and less windy) of the four islands are Gran Canaria and Tenerife. 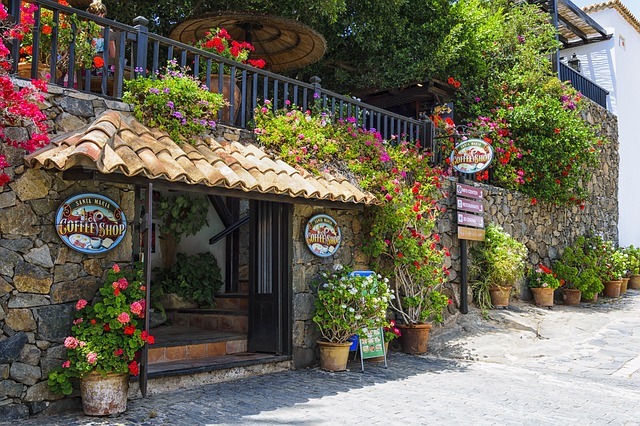 Both islands are very similar, and offer way more than the presumed tourist hotspots, however – if you are looking for beach action, Gran Canaria trumps Tenerife, if you are looking for historical quarters, Tenerife is the place to go. What to do in the Canary Islands: If you are in Tenerife, get yourself up Mount Teide, the world’s third tallest volcanic structure!In Gran Canaria, visit the epic Maspolomas Dunes, and maybe ride a camel while you are there. What to do in Madeira: As an archipelago of four islands, the best things to do here include getting out on the water to enjoy some sports and watch the amazing marine life in action! The stunning coastlines make for some awesome hiking action too. Get out of the wind, and obviously down from the probably snow-capped mountains and you could be enjoying temps of 16°C to 20°C in Cyprus during January.The good news is that the sea is usually still quite warm too at this time of year, making a quick dip from an empty sandy beach could be a dream come true this time of year! 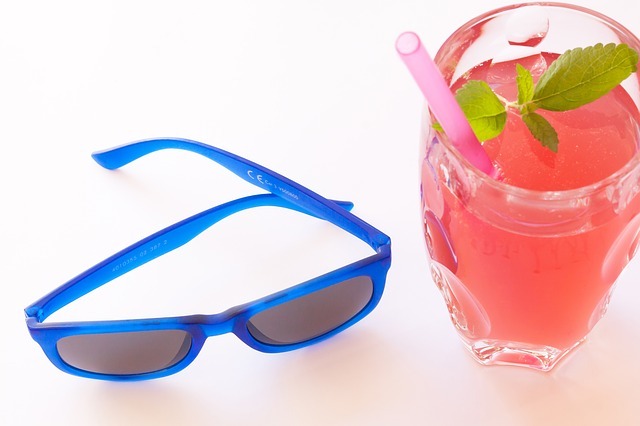 What to do in Cyprus: Fancy a bit of eternal youth, or maybe a pepped-up love life? 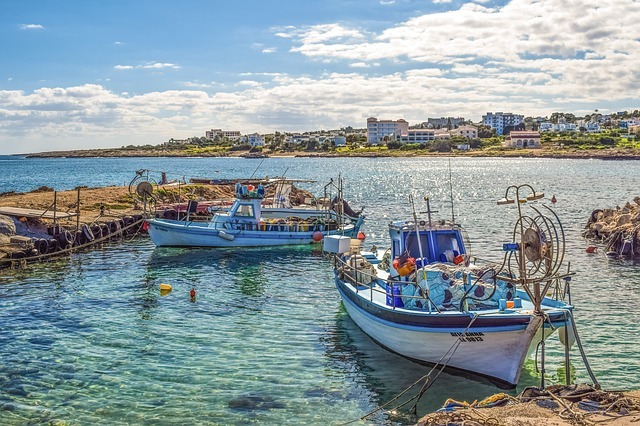 Get yourself to Aphrodite’s Baths just near the quaint fishing village of Latchi. While you can’t bathe in them any more, you can splash yourself with the legendary waters, plus, the trails and gardens here offer amazing views. 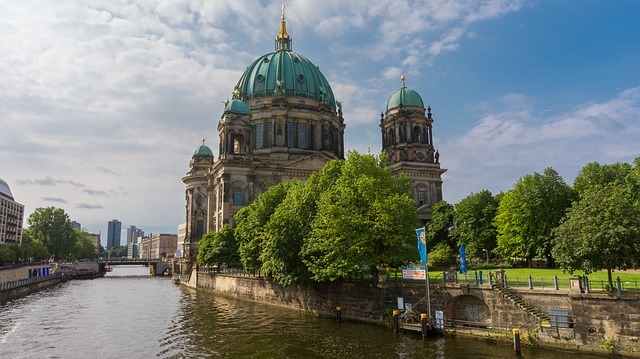 Did you know that this city was awarded the accolade of being “Europe’s Greatest City in Winter”? Okay, that might not just be due to being an almost balmy 17°C in January, but it certainly helps! This is the place to go if you want to be seduced by cultural experiences and a mix of jaw-dropping architecture. 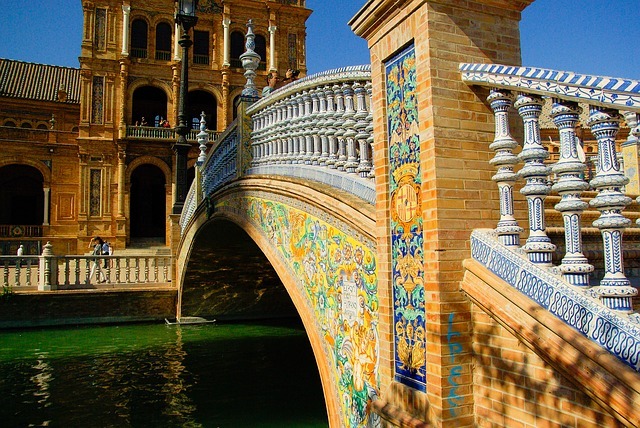 What to do in Seville: Go to the historic centre. This is where you’ll find a Moorish Castle next to a Gothic Cathedral, and Baroque churches – nestled amongst medieval lanes. Sightseeing, boat trips and al-fresco dining during the winter months in Malta is a tranquil and rejuvenating experience, thanks to blue skies and sunshine. Expect this Mediterranean gem to provide temps of around 16°C, often raised by warm winds blowing across from the Sahara. Do note that like Madeira, it can get pretty wet during January, but the bursts of rain are usually short. 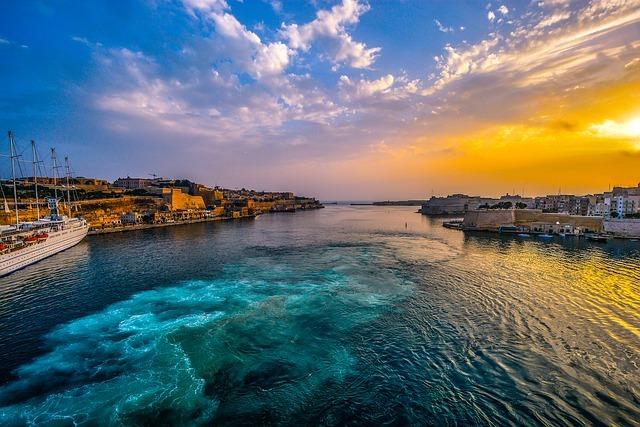 What to do in Malta: Take a Grand Harbour Tour, it is a stunning way to see the historical sights and take in some spectacular views. The commentary during the trip is a great way to learn about the area too. Don’t forget your travel insurance! Even if you have a European Health Insurance Card (EHIC), it has its limitations and only offers a certain amount of help with costs of medical treatment abroad. 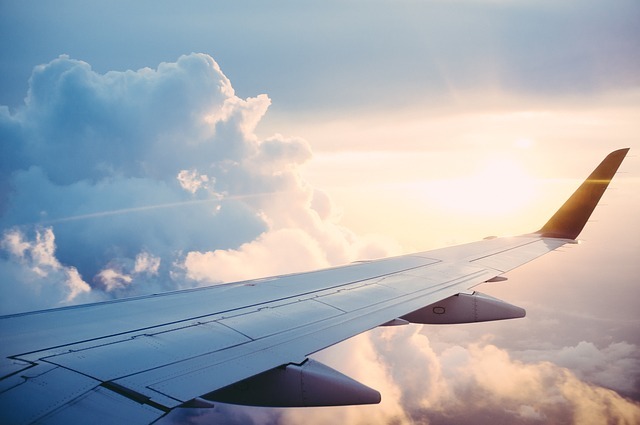 The Government recommends that travellers take out private travel insurance too. To find out more, visit the EHIC advice page. 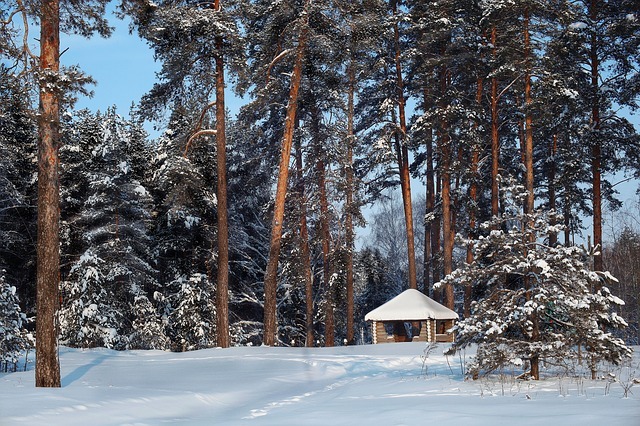 This entry was posted in Destination Guide on January 4, 2019 by worldwideinsure. Chiang Mai, Thailand’s fourth-biggest city, is arguably South-east Asia’s most desirable digital nomad location. Just as tourists find that the city covers most (if not all) bases, nomads have been similarly delighted: Cheap rents, great food, fantastic nightlife, rich culture, plenty of sunshine and, naturally, fast Wi-Fi – are among the top draws. First up, if you need fast, reliable internet, Chiang Mai has you covered. Plus, if you prefer not to work in the same place as you live, there are lots of co-working spaces and Internet cafés where you can put in those long hours. Indeed, you’ll feel as if they’ve been expecting you! Chiang Mai has hostels, guest houses and hotels in abundance, ranging from £5-a-night dorm beds, to £10-a-night basic rooms, to £100-a-night top-end hotels. You can rent a room for as little as £80 a month, or your own small out-of-town house or condominium for £150-£200. If you want luxuries like swimming pool and gym access, you’ll of course pay more. You could also rent a large, modern house for £600-£800 a month and find a few fellow nomads to share the rent. 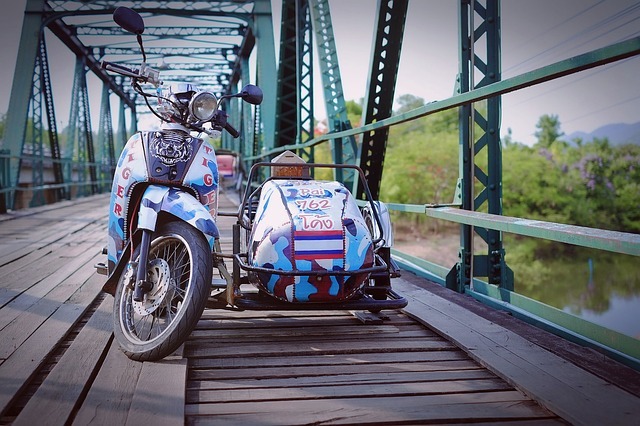 While many people come to Chiang Mai to enjoy Thai culture and the laid-back ‘sabai sabai’ way of life, you’ll doubtless meet plenty of other entrepreneurial Westerners while living here (many Brits among them). Locals, tourists and ex-pats mingle ardently of an evening, with a wide choice of bars and nightclubs to enjoy. Thailand offers excellent private healthcare and decent public hospitals. Reputable private organisations such as the Bangkok Hospital operate locations across the country, including Chiang Mai. Much cheaper than say, Singapore, but with similarly high standards, it’s no wonder people from across South-East Asia come to Thailand to have their healthcare needs met. Many medicines which require prescriptions in the UK can be bought over the counter. While tuk-tuks and songthaews (modified pick-up trucks with covered seating) are great when you first arrive, you may soon want the freedom of your own wheels. You can rent a scooter for £40-£60 a month. Just make sure you have an up-to-date International Driving Licence and never be tempted to leave your helmet at home (as many locals do). Also be aware that Thais like to merge with traffic without even a glance at their mirrors, and love nothing more than to get out of their cars without checking for approaching traffic! From low-cost, tasty street food to excellent Western dishes – your tummy will always be happy in Chiang Mai. Vegetarians and vegans are well catered for, but meat lovers won’t be disappointed either. You could cut your food bills by cooking for yourself, but eating like a local – i.e. in the street – will keep you comfortably on-budget. You’ll probably explore the main temples in your first few weeks, but there’s plenty more to see. 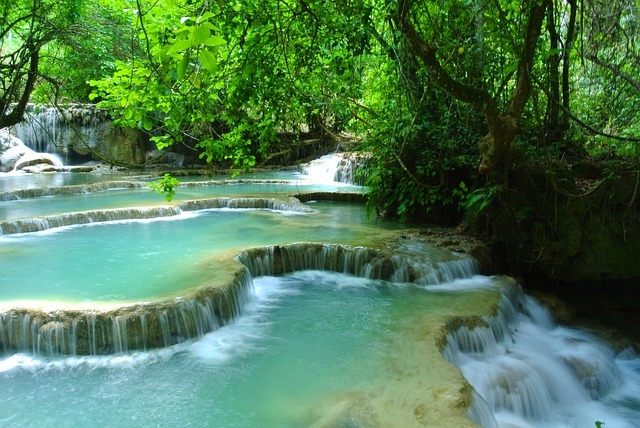 Enjoy a swim in the ‘Grand Canyon’ – a flooded former limestone quarry – just out of town, or, further afield you might explore the hippy-hangout of Pai, with its numerous hot springs, or take a motorcycle trip up to Mai Hong Son. 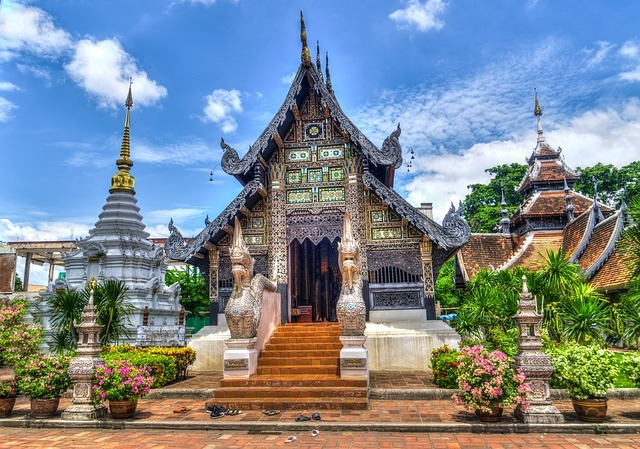 And if you ever feel the need for a weekend in the Big Smoke, you can jet down to Bangkok in 75 minutes – before deciding that life in laid-back Chiang Mai will do you just fine, thank you very much! As a UK citizen, you can apply for a two month tourist visa (£25) in the UK, and extend it for another month (about £45) in Thailand. You could then apply for another tourist visa in a neighbouring country. Most nomads can repeat this process several times before Immigration officials start asking questions. DON’T FORGET YOUR TRAVEL INSURANCE! With worldwideinsure.com you can get longstay travel insurance to suit your digital nomad lifestyle, including insurance while you are already travelling. Get a quick online quote or speak to one of our advisors. This entry was posted in Destination Guide, Travel Advice, Travel Tips on December 21, 2018 by worldwideinsure. Congratulations! You’ve decided to take the plunge and make a living remotely. You’ve given the 9 to 5 – and its associated commute – the heave-ho. You can work as and when you want: all you need is a laptop and a passport. But there’s one small snag: You’ll need somewhere inspiring to live while you tap away at your computer – somewhere conducive to work – and to play. Globally, there are of course thousands of towns and cities to choose from. So where to begin? Will you choose a buzzing metropolis with dazzling night-life? Or will you opt for a sleepy town with friendly natives? Will you go urban or rural? Tropical or temperate? Here are five of the best places to enjoy life as a digital nomad, balancing living costs, food, culture, weather, Wi-Fi access and transport. It may be the fourth-biggest city in Thailand, but Chiang Mai has an engagingly sleepy vibe, perfect for the laid-back digital nomad. It attracts thousands of nomads with its old-world atmosphere, augmented with a vast choice of co-working spaces and cafés for getting some work done. Wi-Fi is super-fast, and finding accommodation – both long and short term – is easy and low-cost. The perfect city to enjoy Thai culture (temples are abundant) while meeting plenty of other nomads from around the world – so you can find collaborators and inspirational entrepreneurs with ease. Chiang Mai is safe, friendly and boasts superb night-life, fantastic food, and if you ever needed it, high quality healthcare. Cost: Around £700 a month, but you could spend much more if you wanted. Equally, you could get by on £300. 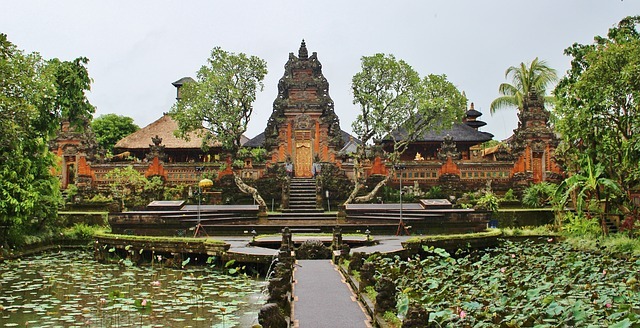 Yoga, meditation, massage, health foods… Ubud, in the heart of Bali, is ideal if you want revitalise body and soul. 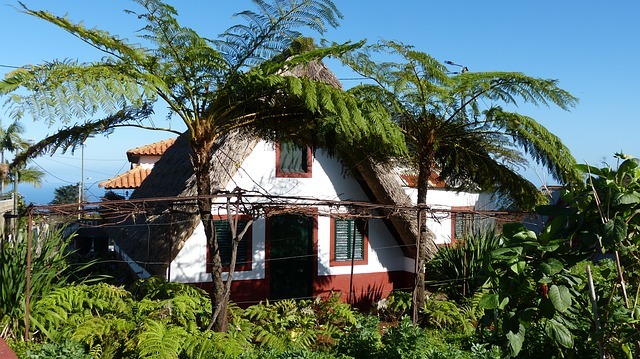 It’s also surrounded by stunning rice terraces and is a stone’s throw from volcanoes, waterfalls and top surfing spots. Food is delicious and cheap, with plenty of vegetarian options. The centre of Ubud can get rather busy in high season, so we recommend finding somewhere to live on the outskirts. If super-fast broadband is an absolute must for your work, then Ubud might be a little disappointing, since the Internet can get rather laggy. 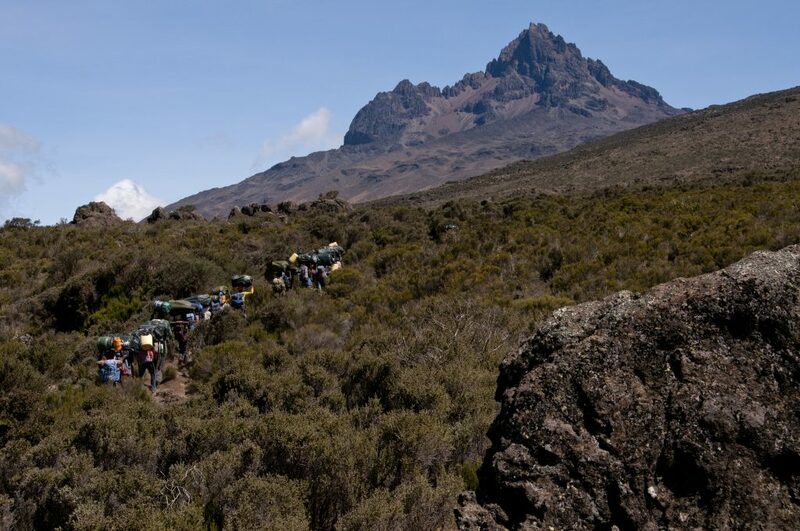 The tropical climate delivers plenty of sunshine, with torrential downpours in rainy season. Friendly locals complete the picture. Cost: Around £800 a month, but more if you indulge in massages, yoga retreats and Western food on a regular basis. If you want to start your new digital nomad life a little closer to home, Barcelona could be perfect. While not as cheap as Thailand or Indonesia, you can still find affordable flat shares, and if you cook for yourself, your dining bills will be low. 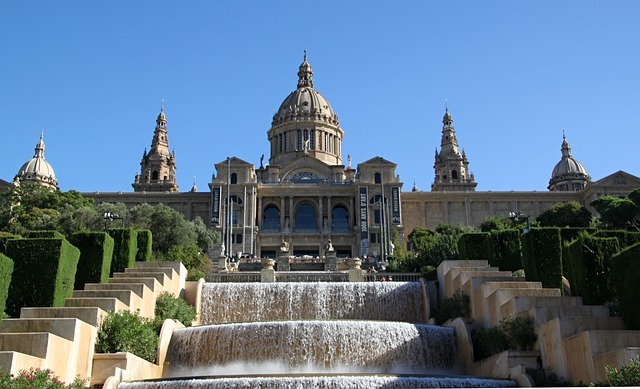 Famed for its dazzling architecture (Gaudi’s incredible Sagrada Familia is here), amazing theatre, art exhibitions, comedy and cabaret, Barca is a culture vulture’s dream city. And don’t forget the football team or the fact the city has its own beach. Delicious tapas, a vibrant night life and a truly cosmopolitan (and friendly) population, Barcelona is a winner among digital nomads. WiFi is fast and good, with numerous free public hotspots available. EU citizens can stay for as long as they like. Cost: A comfortable lifestyle would cost a minimum of £1,300 per month, but as with so many cities, you could spend a lot more. 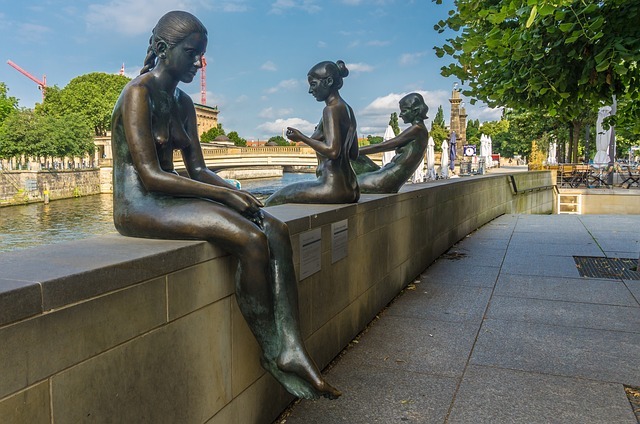 Germany’s moody capital is a mecca for artists and bohemians of all stripes – and is a wonderful place for the digital nomad with an urban bent. Fast Internet, reasonably-priced accommodation, and a plethora of Internet cafés and co-working locations make this a fantastic city in which to get your digital head down. Winters can be very cold, but you’ll never be starved of culture or interesting company in the cafés and bars of this eclectic city. Another big bonus is you can stay for as long as you like – so long as the UK is part of the EU. This relaxed surfer town offers lush green jungle and long sandy beaches, together with a range of adventure activities – chief among which is of course surfing. Located in a rainforest, you can expect high temperatures – and some serious downpours. The Internet is pretty slow, so if you need fast access, Puerto Viejo might not be for you. 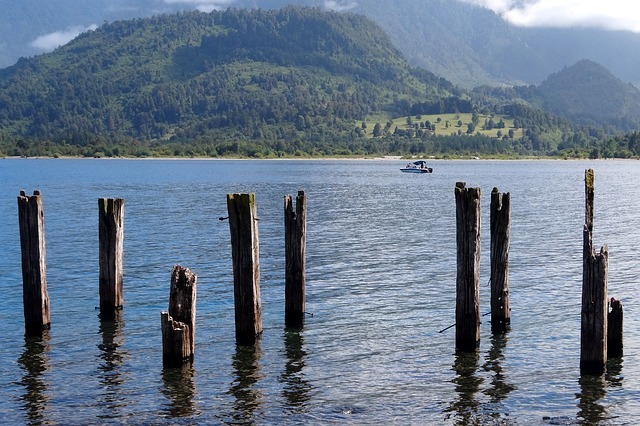 However, for the laid back digital nomad who loves the outdoors, this town could be perfect. Cost: Around £900 per month as a minimum – but much would depend on your chosen accommodation and how often you like to party. This entry was posted in Destination Guide on December 14, 2018 by worldwideinsure. If you are looking for an alternative Christmas getaway without a hint of festive jumpers, tinsel and chart-topping Christmas hits, you could try these tantalising destinations. This is one of the few destinations where the commercial chaos that surrounds Christmas just doesn’t feature, unless you are in one of the big cities. This is partly because Laos doesn’t have a large Christian community, but also because it is still a relatively “untouristy” place and hasn’t taken on western traditions to please throngs of holiday-makers. As such, the big day passes by just like any other day here. Unless you check into a hotel that is catering for holiday-makers who want to celebrate Christmas in the sun, Morocco is a great place to avoid the festivities due to it being a Muslim country. While the tinsel and turkey won’t feature, do be mindful that shopping might, as tourists flock to the souks in search of something different to take home and gift at Christmas. This is one destination where you can guarantee yourself a white Christmas – in the form of sand instead of snow. And while there may be a splattering of festive decoration in some resorts, it is nothing more than an acknowledgement of the time of year and is not a precursor to a day of festivities. There is the added benefit that the more secluded your tropical oasis the easier it is to forget it is Christmas altogether. This is one for those who want to get away from Christmas without getting away from winter, just make sure you don’t stay long past the 25th! The catch here is that Russia does in fact celebrate Christmas, but on the 07thof January – which means there is a chance that festive lights and the like will be on display, but the day itself will just about pass by with out the usual festive fuss. 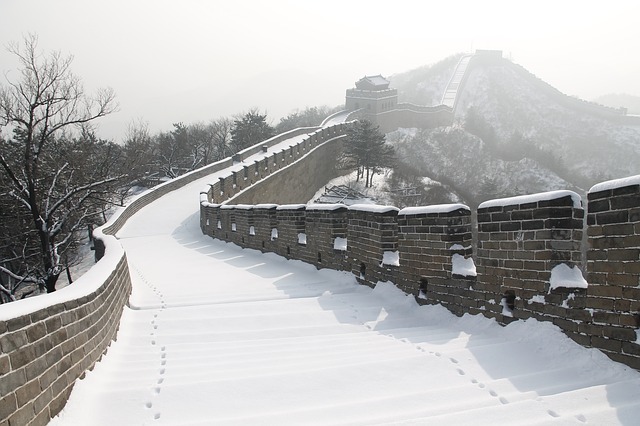 This entry was posted in Destination Guide on December 7, 2018 by worldwideinsure.